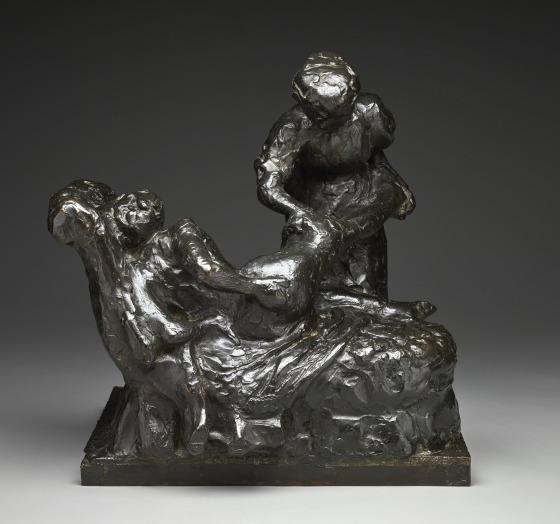 The reclining figure pushes her leg forward; the stooped masseuse holds the outstretched leg in one hand while manipulating the tired dancer’s muscles with her other hand. 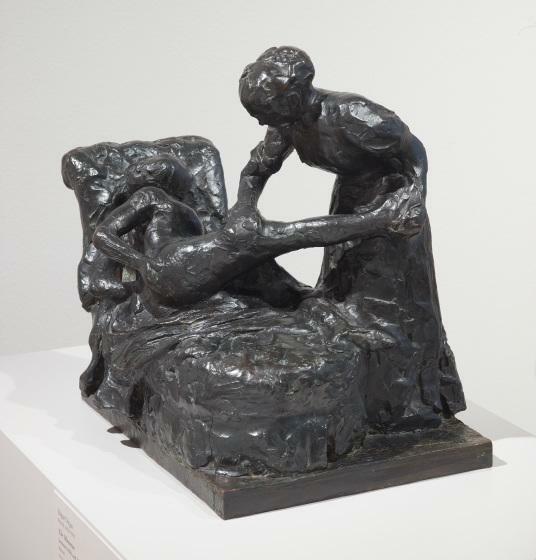 Details have been eradicated in order to focus the attention on the interaction of the two figures and the sense of energy created through their momentary poses. 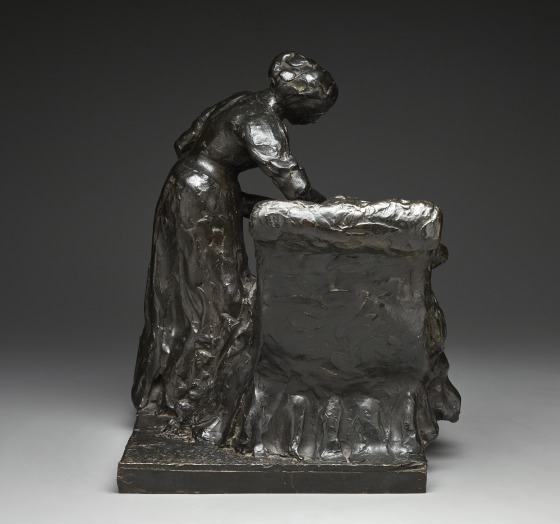 This sculpture was cast in bronze following Edgar Degas’s death after wax models found in his studio. 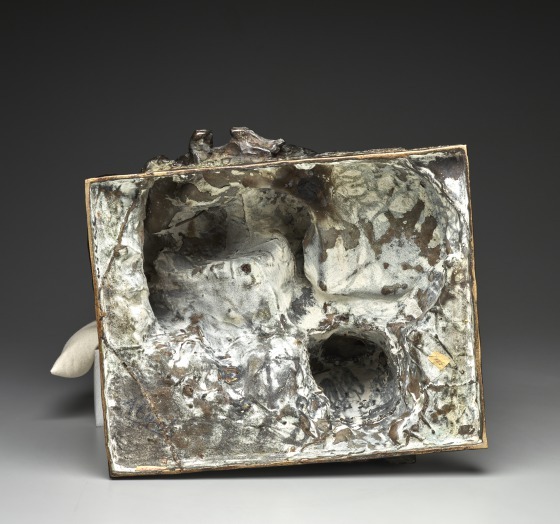 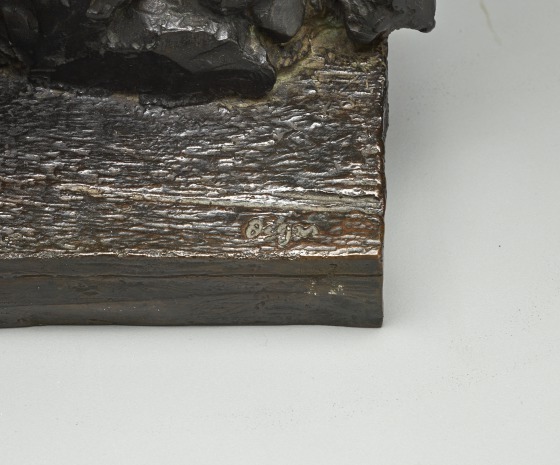 You can see how the artist manipulated the once pliable material with his fingers and other tools. 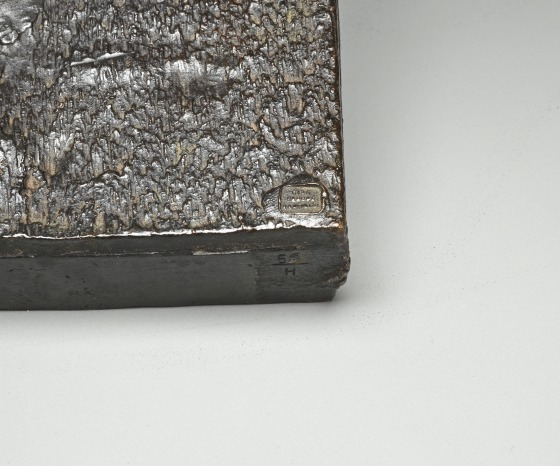 Heather MacDonald, DMA label copy, 2012. 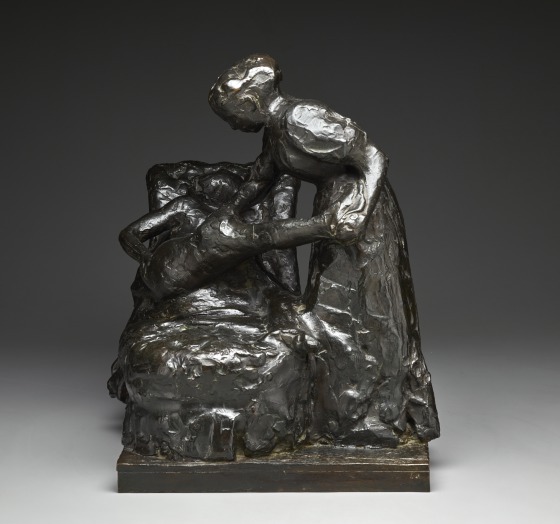 Learn about Edgar Degas (1834-1917). 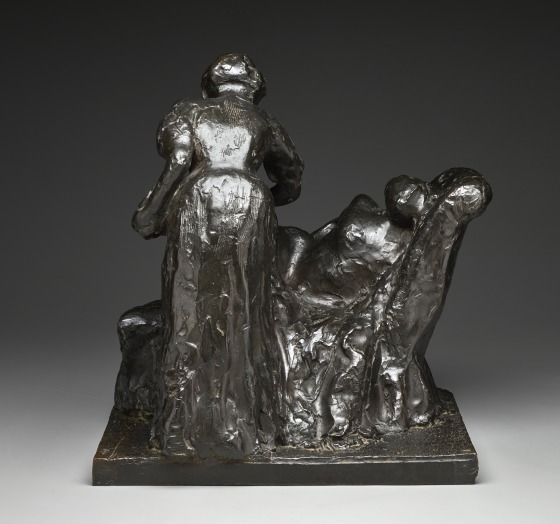 Learn more about Degas's bronze sculptures from this essay on the Heilbrunn Timeline of Art History.